Mumbai-based Omkar Realtors & Developers, a market leader in redevelopment and luxury residential projects, created history in India’s real estate sector with a grand gathering of 1200 plus Channel Partners from across Mumbai, India, Dubai, GCC region, Singapore, Hong Kong who attended the promotional event by Omkar’s for its new product offering ‘SIGNET by Omkar’, a project offering efficient and compact 1 & 2 BHKs at Malad East on Western Express Highway. 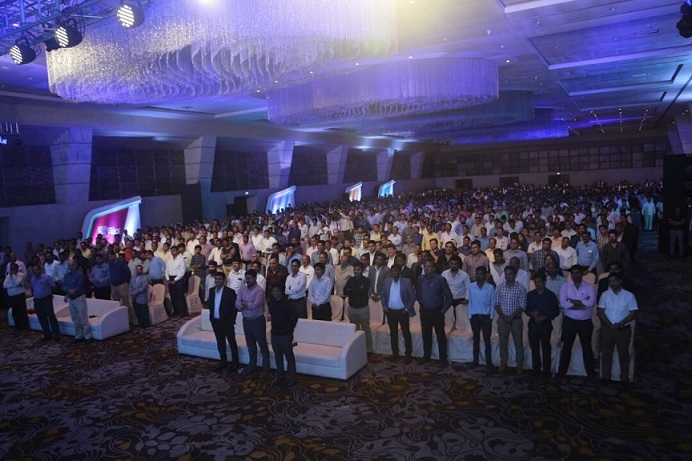 ‘SIGNET by Omkar,’ which is a unique proposition of efficient & compact 1 & 2 BHKs from Omkar Realtors lured the Channel Partners different parts of the country from all over to be part of this large gathering towards marketing this product to evoke interest among their customer to invest in this project to be part of Omkar family. “With almost 700 units on offer in this project Channel Partners have a very good opportunity to make good business for themselves and for Omkar Realtors,’’ said Devang Varma, Director, Omkar Realtors & Developers Pvt. Ltd. Omkar Realtors is already known for quality construction and timely delivery which will surely benefit the Channel Partners to take Omkar’s new product to all its customers’ base towards investing in this project added Devang. “SIGNET by Omkar’, is yet another good product offering from the house of Omkar Realtors having offered various marquee projects across Mumbai have seen a good response among our customer base,’’ said Ashwinder Raj Singh CEO of Residential Services at JLL India, Mumbai-headquartered Real Estate Advisory Firm associated with Omkar for almost a decade now. The Product was taken to Dubai for the GCC market the next day itself along with JLL and saw a huge participation from the Dubai-based investors and end users.